New sanctions recently passed by the U.S. Congress against North Korea in the wake of the dictatorship’s nuclear testing are the strongest ever, vastly diminishing the ability for the nation to do international business and virtually killing its petering automotive industry. The U.S., along with China—the totalitarian government’s closest ally, and other governments have agreed to dramatically cut any business between outside markets in North Korea in an effective attempt to uproot the government’s funding of a nuclear program. The North Korean automotive industry relies on Chinese businesses for over 90 percent of its parts supply, according to Bloomberg. The new sanctions, while effectively hindering the nuclear program as a response to North Korea’s January testing, will directly target those Chinese companies that supply North Korea, throwing the nation’s auto industry, which just started to see signs of growth, into jeopardy. According to Bloomberg, North Korea only has about one million vehicles on the road in a country of 30 million citizens. Before the new sanctions vehicle production had grown by about 10,000 vehicles per year. 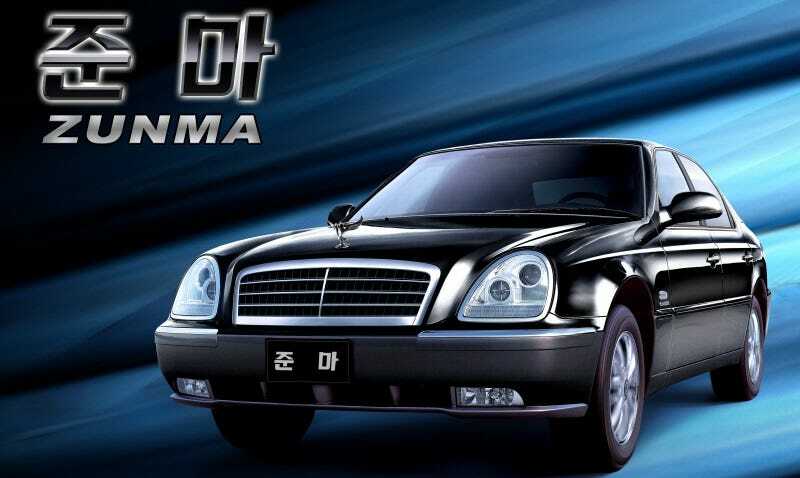 The nation’s largest automaker is Pyeonghwa Motors, meaning “Peace” in Korean, which produces everything from Mercedes-Benz knockoffs to pickup trucks for a meagerly small civilian market. Instead, the majority of the auto industry spends its resources, manufacturing, and production for vehicles geared towards a perpetual state of war readiness. Combine that with a society and infrastructure not really built around civilian commuters and these new sanctions go a long way in preventing North Korea’s advancement of nuclear capability while destroying an automotive industry that ultimately plays a very small role in the lives of its citizens, but a very large role in the North Korean government’s manufacturing ability. Besides, how crap could you imagine a North Korean car being?